This is a dynamic road sign on the road that goes around the south end of Casper, WY on February 14, 2018. 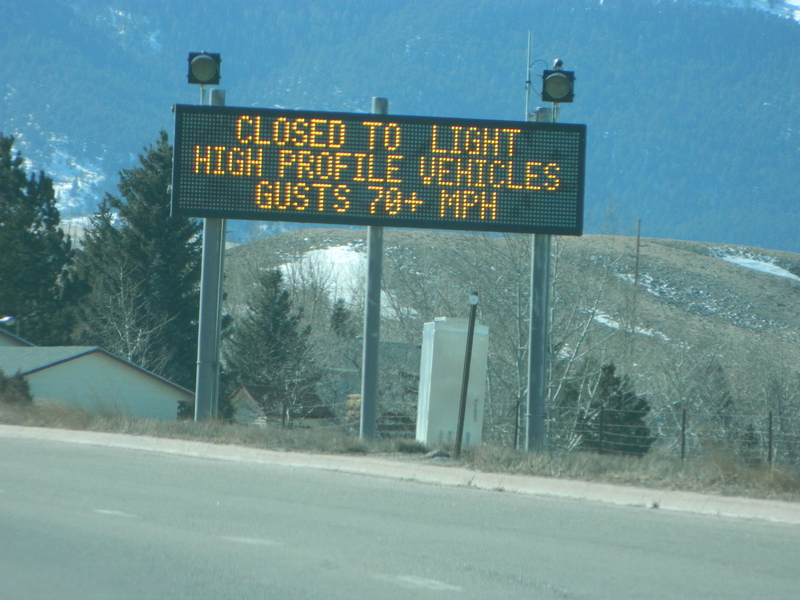 We have had high winds repeatedly this year, closing interstates and state highways to things like unloaded semi tractor-trailers. This is not unusual for our area (the wind speed or the blown over trailers! ).